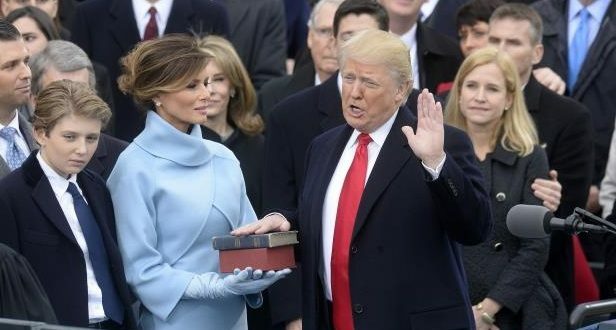 A mysterious $1 million gift to President Trump’s inaugural fund in 2016 has been traced to conservative legal activists who have been influential in the Trump administration’s selection process for federal judges. The donation — one of the largest made — was given by Northern Virginia company called BH Group, LLC. According to a report by McClatchy, little is known about the company, including who runs it, and it was likely used as a cipher to hide the real name of the donor. McClatchy was able to trace BH group after it was hired by another secretive, politically active non-profit called Wellspring, which paid it $750,000 for PR work. According to McClatchy, Wellspring was practically the sole funder of the Judicial Crisis Network in 2016, paying nearly $23.5 million to the group which was a major financial supporter of efforts to stall President Obama’s supreme court pick. The group is known for advocating the nomination and confirmation of conservative judges. Neil Corkery, the Wellspring Committee’s president, and his wife Ann Corkery, a Washington lawyer, also work for the Judicial Crisis Network, according to a report by the New York Times, and are connected to Leonard Leo, an executive vice president at the conservative Federalist Society. In a recent finance filing reported to the Federal Election Commission, “BH Group” was also listed as Leo’s employer. According to McClatchy, Leo has had Trump’s ear on major court decisions, including his nomination of Supreme Court Judge Neil Gorsuch. As a nominee, Gorsuch said he first came to Trump’s attention after being contacted by Leo on “about December 2, 2016” a few weeks before the major donation from BH Group. McClatchy’s report comes amid scrutiny over Trump’s leftover inaugural funds. He promised to donate the leftover money to charity, but has not yet announced when or where he plans to donate the money to, USA Today reported earlier this year. Previous: Coffee cancer warning: Does coffee cause cancer?